Coming from the mean streets of Mosside and a life of gang culture, Bugzy Malone has worked his way up to holding a crown over the city of Manchester. Despite his chequered past, he has turned it around and followed his passion for music to become viral success. 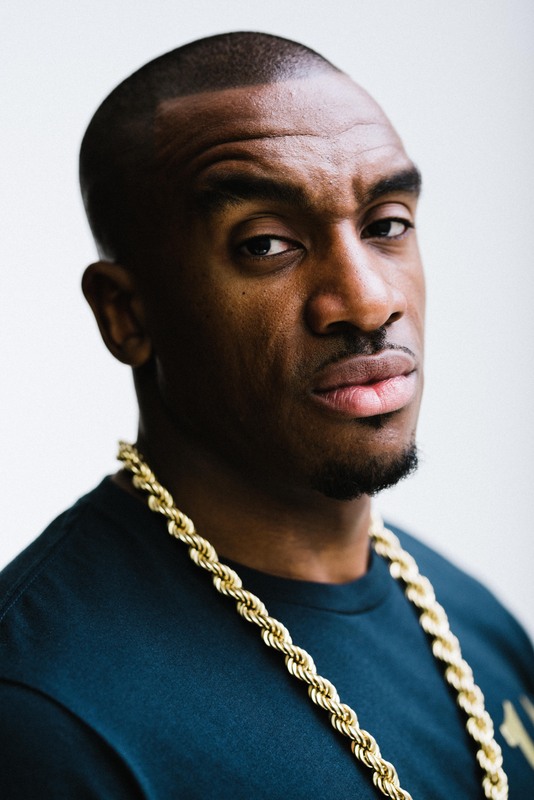 Bugzy Malone (real name Aaron Davis) is a born-and-raised Manchester rapper who has been on the music scene since 2010. His rise to fame can be seen through YouTube after performing on the grime channel KODH TV and his notorious rivalry with fellow grime rapper, Chip. Since then, he has risen through the grime scene, appearing on Charlie Sloth’s ‘Fire in the Booth’ on Radio 1Xtra, his session currently the most viewed online with 18 million views. I have only recently been introduced to Bugzy Malone, but nevertheless I was excited to see him for the first time in concert in my home city. And boy did the King of the North put on a show. 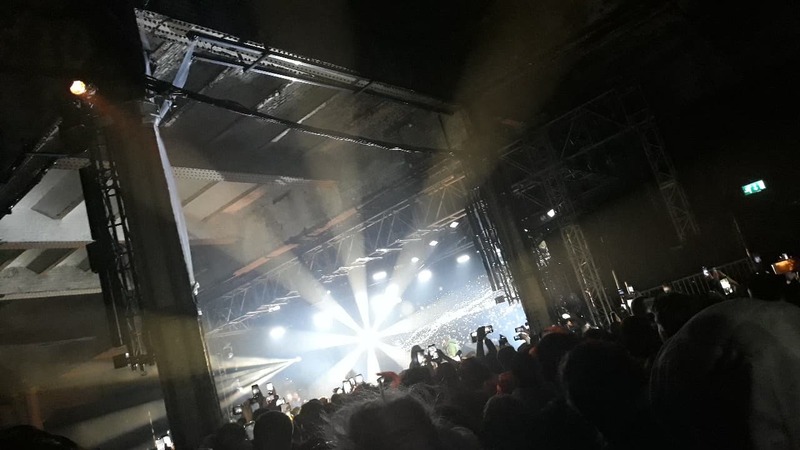 To set the scene: Manchester’s Mayfield Depot – don’t worry I didn’t know it even existed either – turns out to be the best possible setting for a grime concert, especially with Bugzy Malone. The Depot is an abandoned train station near Piccadilly that came alive under the talent of the 0161. As you walked into the room you were met with the sound of the pumping bass and the swirling light fixtures. Doors opened at 7, but the infamous rapper did not appear until 10pm (probably the only critique I can give the gig). 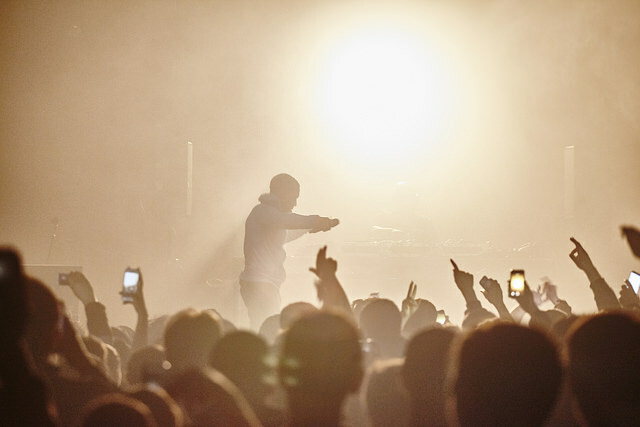 In the meantime, the crowd were pumped with several DJ sets which included compilations of several grime artists, including Bugzy’s music along with artists such as Stormzy, Chip, Skepta, J Hus and notably, Big Shaq. After these had played out and most definitely hyped up the crowd, the supporting act for the night, SL, appeared on stage. For those who don’t know, SL (formerly Slimz) is a 17-year-old rapper from South London who has had, for want of a better word, a colourful past. Having moved from Peckham to Croydon at a young age he became involved with crime in his early teens. Knowing this only makes what he has become more admirable and endearing. After an hour-long set, and another agonising wait, Bugzy appeared at 10 on the dot. He started off strong, opening with ‘B.Inspired’ – the namesake of the current tour and upcoming album. This was followed by an electric performance of ‘Done His Dance’, also on the new album. His hits throughout the night included ‘Run’, one of my personal favourites which is about finding the courage to find your place. ‘Run’ is the third single of Bugzy’s upcoming album, ‘B.Inspired’ and the music video is a black and white montage of a young boy running to find a home. The song is made better by the deep vocals of Rag ‘n’ Bone Man, though unfortunately he was not at the gig. That said, I was pleasantly surprised when Bugzy’s second duo of the night, ‘Ordinary People’, featuring JP Cooper, had Cooper, a fellow Mancuian, appear on stage to perform the song. This duo was spectacular and accompanied by the light show and the pure atmosphere of the crowd only enhanced the performance. Other songs of the night included ‘Memory Lane’ and ‘Warning’, alongside a mashup of ‘We Don’t Play’ and ‘Bruce Wayne’ which was the closing song of the show, ending the night on a high. The sheer amount of energy Bugzy develops on stage only matches with that of his fans who are made up largely of my demographic of teenagers. As a lot of his music documents his life so far it resonates greatly with his fans and to me, it speaks the minds of today’s youth making his music massively relatable. His music appeals to my age group due to the translation of feelings into music a lot of which are usually hard to explain. There is something special about seeing an artist live in concert and the communal spirit of the crowd singing along to live music and Bugzy’s concert portrayed this perfectly.